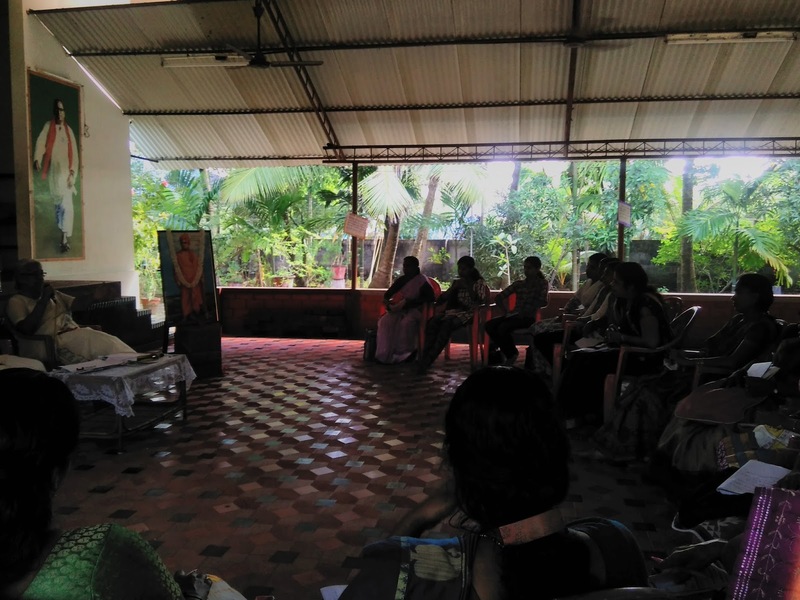 One-day Samskara varga Prashikshan Shibir for 20 ladies mostly housewives and teenage girls from Vellangallur area of Irinjalakuda, was held at Ananda Dham today. 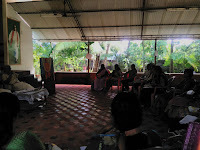 Shibir started at 10 a.m. with an introduction by Sri Sudhakarji. 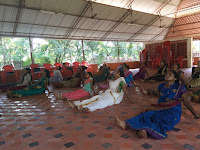 After the Deepa prajwalan, the practice of daily prayers was taken. 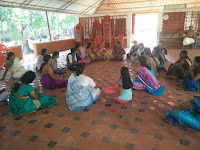 This was followed by the Group discussion where all the 20 participants were divided into five groups. 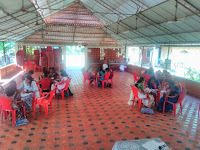 Each group was given different topics based on Indian Culture, for discussion, viz a) Concept of Ishwara b) Different forms of Ishwara and the significance of each form c) Dharma Kshetrangal d) Bharata deshavum - samskaravum and lastly e) Scriptures of Sanatana Dharma. One member of each group presented their topic beautifully. 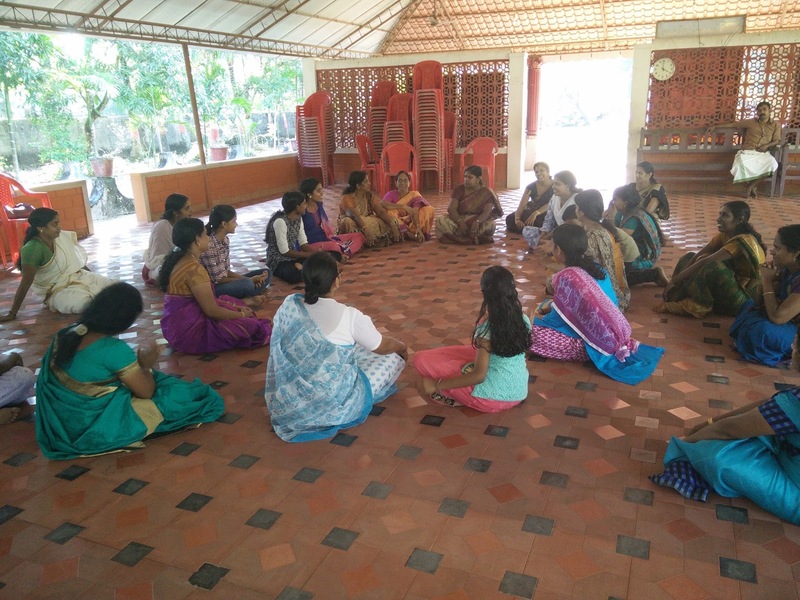 Sri Sudhakarji guided them on how they could organize and conduct classes for children within a limited time of one and a half hour, which would include all aspects of development- physical, mental, spiritual, intellectual and patriotic zeal in a child. 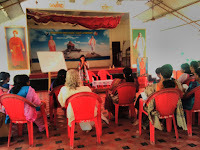 Song practice, summing up by Didi, introduction to breathing exercises and games followed thereafter. The Shibir concluded at 4.30 with Kendra prayer. 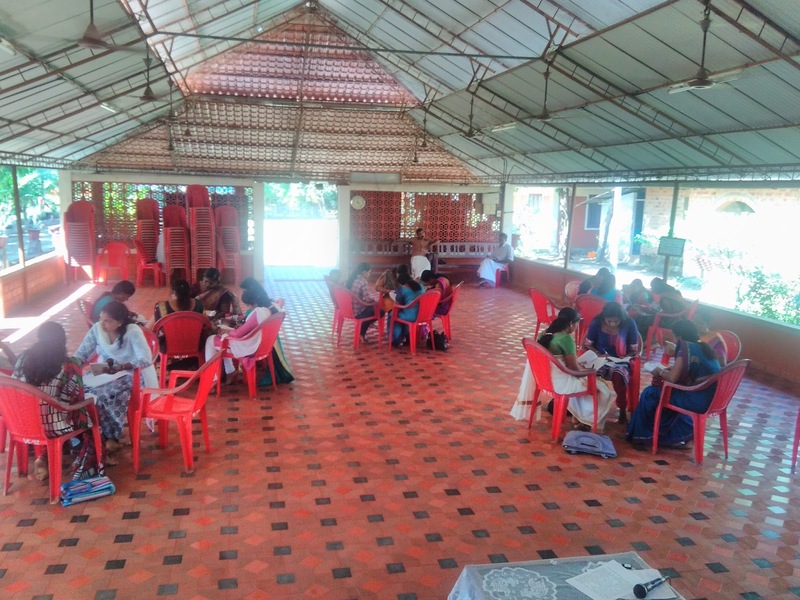 All the participants enthusiastically participated in the entire programme and looking forward in organising the classes in the different areas of Aripalem near Irinjalakuda. 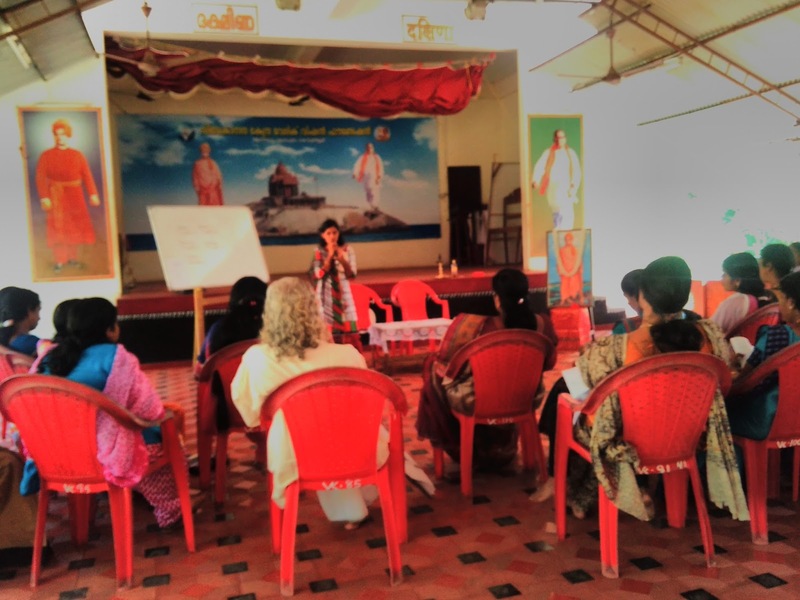 This training programme will be conducted once in two months.